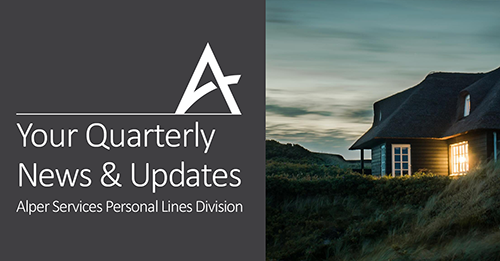 The second quarter edition of The Alper Advisor is live with a cover story on the benefits of captive insurance programs, our latest Client Spotlight, how to prep for an active shooter scenario and how to comply with the Biometric Information Privacy Act at your company. Click on the Advisor to read more. 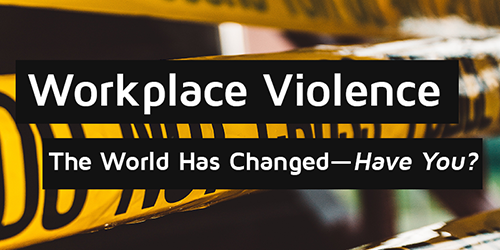 OSHA’s research shows that nearly 2 million American workers report having been victims of workplace violence each year. Alper invites you to a seminar featuring experts who will discuss how to manage workplace violence including active shooters. Join us Tuesday, April 30th from 9:00am to 11:30am. Please RSVP to Beth Rooke at BRooke@AlperServices.com or call 312-867-7307. We’ve gathered the benefits headlines for April that we think are particularly noteworthy. Click here to view them. For questions about anything you read, contact our Employee Benefits Team at EBTeam@AlperServices.com. 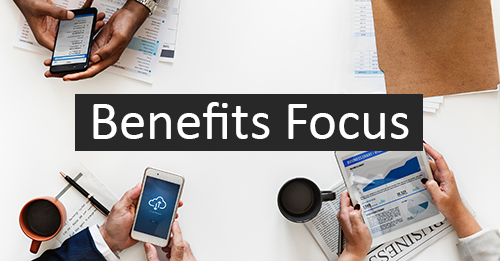 Click here for the latest benefits news and updates that we think are particularly newsworthy this month. For questions about anything you read, contact our Employee Benefits Team at EBTeam@AlperServices.com. To download a copy of the latest Market Blueprint on Captive Insurance Programs, click here. While the word “captive” may carry a negative connotation, in the context of insurance, it can mean exactly the opposite. For organizations that chose to insure their risks through a “Captive” insurance company, the word represents freedom from the confines of traditional insurance rate structures, and a shift from insurance as an expense to an investment. A captive insurance company is an insurance program owned by a group of businesses for the purpose of gaining the benefits of controlling their insurance costs. Captive participants’ premium dollars go toward funding their own claims, or are returned in the form of annual dividends. They range in size, and type of member companies. Practically every risk underwritten by a commercial insurer can be provided by a captive. Once established, captives operate like any commercial insurance company and are subject to state regulatory requirements including reporting, capital and reserve requirements. Premiums paid into captives also typically enjoy the same tax benefits afforded traditional insurance premiums. Originally largely a Fortune 500 practice, middle-market businesses are utilizing captives with as low as $100,000 in general liability, auto and workers’ compensation coverages depending on the type of business. There were more than 7,000 captives globally in 2016 compared to roughly 1,000 in 1980 according to AM Best Captive Center. They are typically managed by a professional captive management company that ensures compliance with rules, manages claims and provides financial management and reporting. Captives can write coverage for more predictable risks as well as high severity, infrequent risks like natural disasters. This is because they are able to access reinsurance markets to cover less predictable risks like extreme environmental events that are uninsurable or difficult to insure on the commercial market. Captive members may choose to allocate capital as risk financing vehicles to pay for more catastrophic, hard-to-insure risks such as hurricanes and earthquakes. Furthermore, captive members may choose to allocate capital as risk financing vehicles to pay for more catastrophic, hard-to-insure risks such as hurricanes and earthquakes. 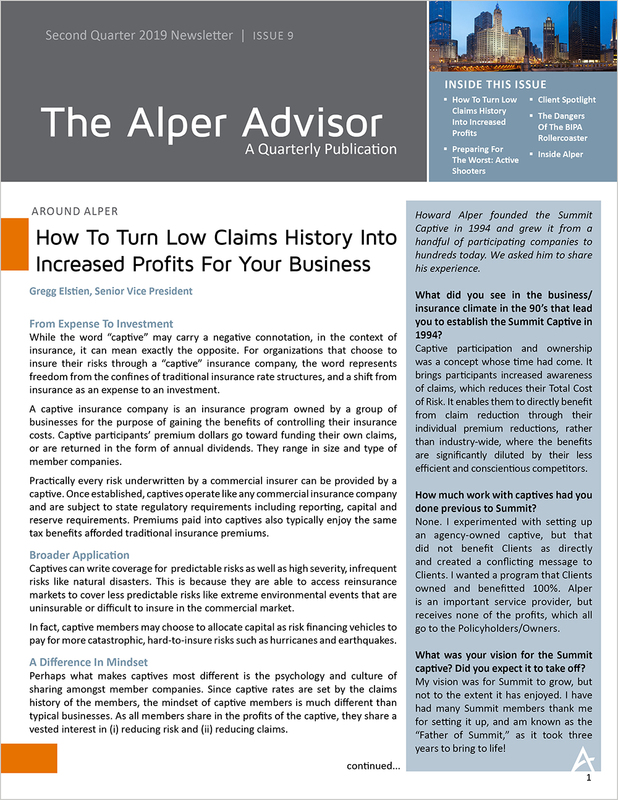 And since companies attracted to captives typically are those who are weary of paying out far more dollars in premiums than they see in claims, they tend to have lower-than-average claims history to begin with. Always on the cutting edge of cost reduction solutions, Alper Services has 30+ years’ experience helping Clients find the right captive for their needs, and all are placed with A-rated insurance companies by AM Best Rating Services, the industry quality rating service. We created a successful captive in 1994, which dramatically reduces the cost of insurance for more than 190 best-in-class businesses today. Additionally, we have placed Clients in the manufacturing, energy, transportation and health care sectors into a wide range of existing captives with great benefit. Above all, we provide the knowledge and expertise to help your business form, or join, the RIGHT captive structure, so you can enhance your coverage and transform a traditional expense into a valuable investment. To discuss the option of a captive program for your business, please contact your Alper Account Executive or email Chris Breck at CBreck@AlperServices.com. 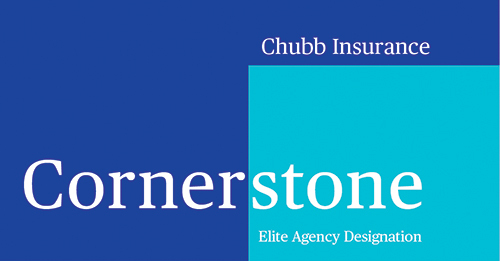 We’re thrilled to announce our Commercial Lines and Personal Lines divisions being named to the elite group of Chubb Cornerstone Agents for the fourth year in a row! Cornerstone status means Alper continues to receive access to a dedicated customer service liaison who connects us with senior specialists in Chubb’s claims and risk departments. The Alper Team also benefits from educational programs that help us stay up to date on relevant, emerging loss control issues. In turn, our Clients receive the most effective service in the event of a loss. This is just another way we bring you highly specialized service in order to help you plan from now through when. 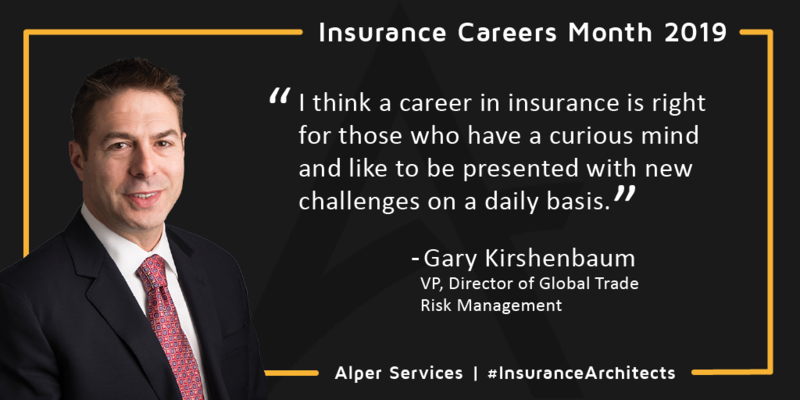 Meet Gary Kirshenbaum, Vice President and Director of Alper’s Global Trade Risk Management division. Please share a few sentences on why you chose insurance as a career? Was it your intention to build a career in this industry or did you fall into it and decide to stay for a particular reason? I’m not sure I chose insurance as much as it chose me. As a lender, I worked with trade credit insurance to support loan deals. To do this, I researched the product and facilitated our clients/borrowers in obtaining policies as needed. 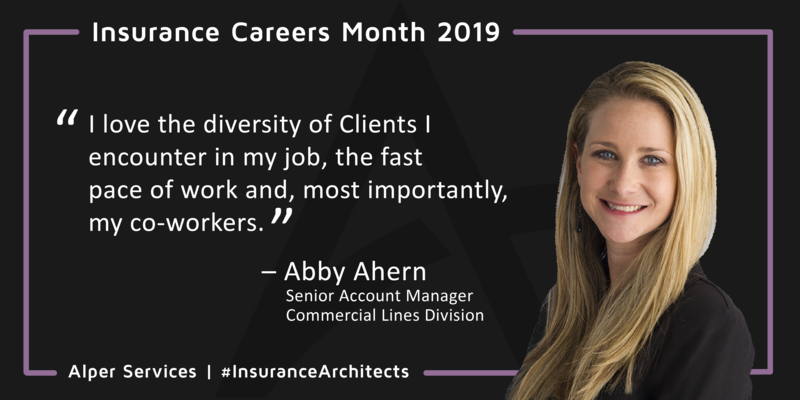 Meet Abby Ahern, Senior Account Manager in the Commercial Lines Division, and our third spotlight for Insurance Careers Month. I graduated from the University of Wisconsin with a communications degree and no idea what I wanted to do with it. At this time I took notice of my Uncle Tony who owned his own insurance agency as well as a neighborhood bar as a hobby. I loved his stories about the different clients he met through networking or just listening to patrons behind the bar. Insurance afforded him a comfortable life, the opportunity to provide jobs for others at his agency and help his community through the policies he wrote. I was in!